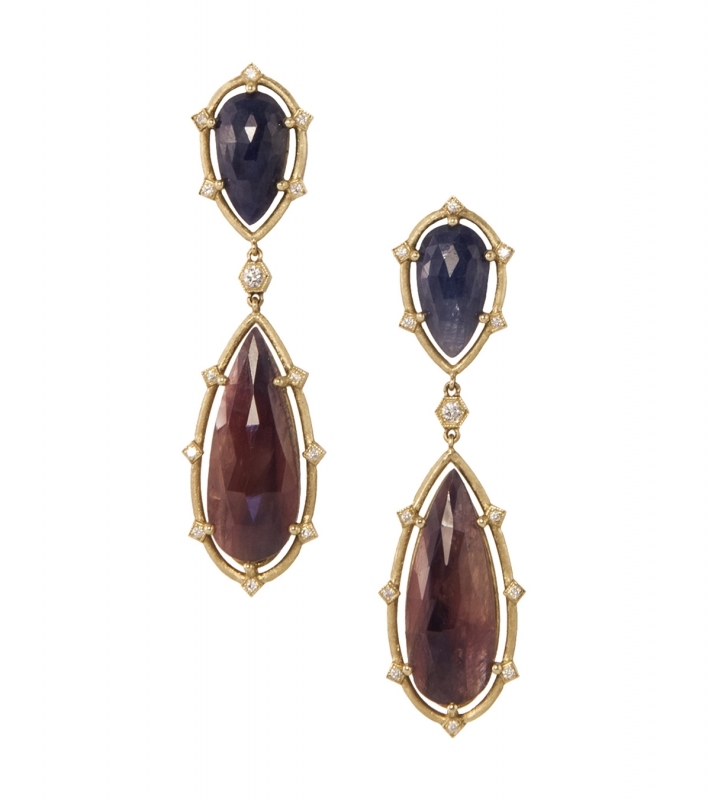 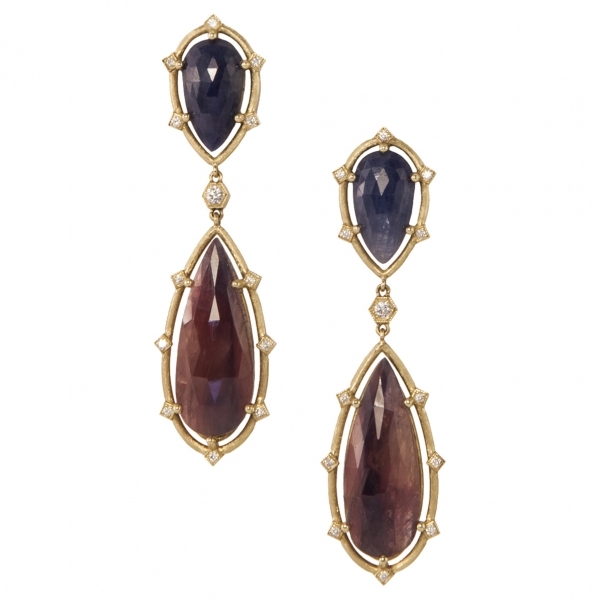 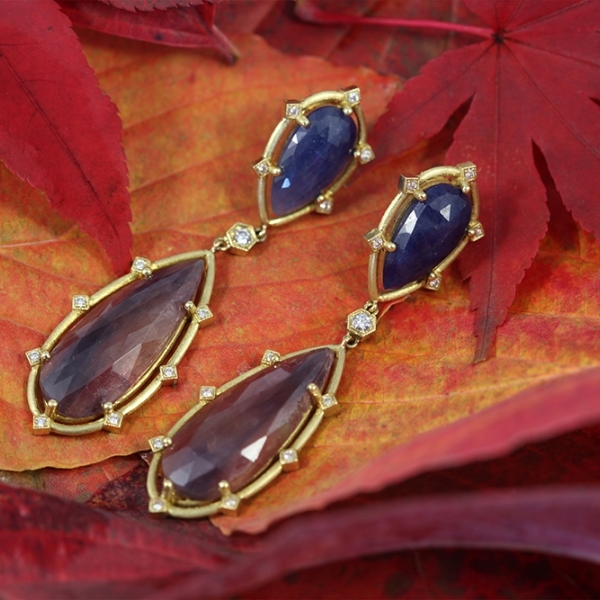 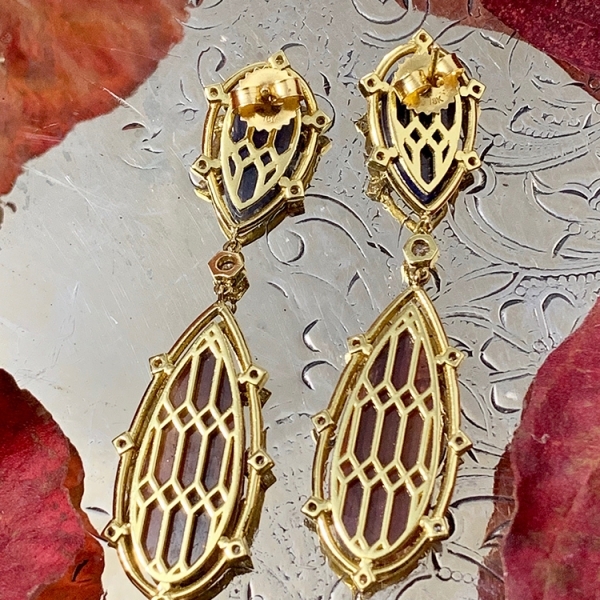 Rose cut Sapphires in Denim and Russet colors capture the elegance of Fall, set in 18K Yellow Gold with Diamond accents in geometric settings with elongated hexagons in a honeycomb pattern on the reverse side. 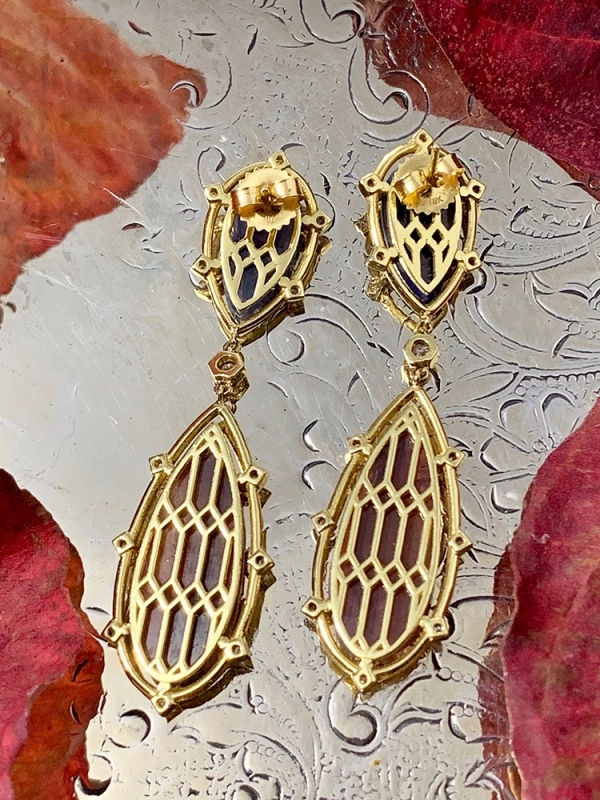 These earrings look gorgeous from every angle. 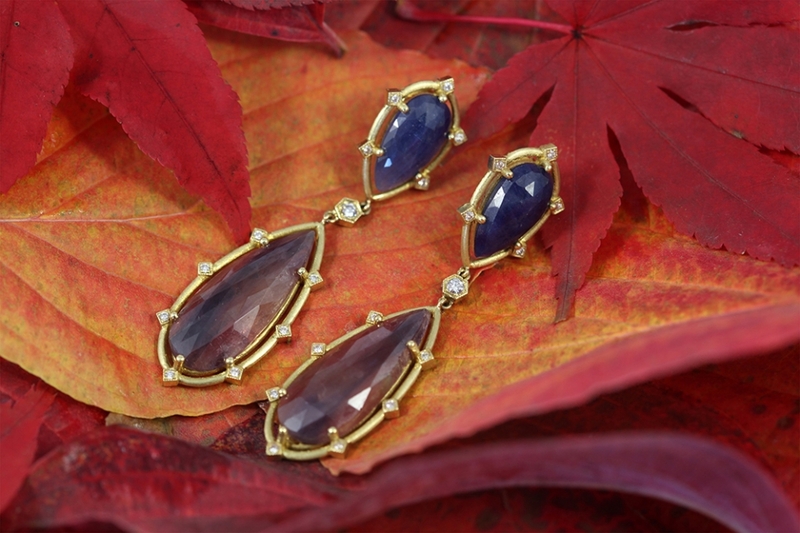 This attention to detail is the mark of Fine Jewelry.